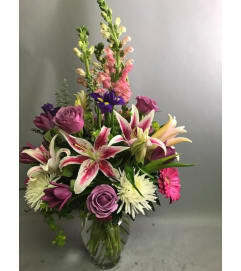 Pictured here is a church style arrangement in an urn with deep purple Carnations, Stock, and Cabbage. 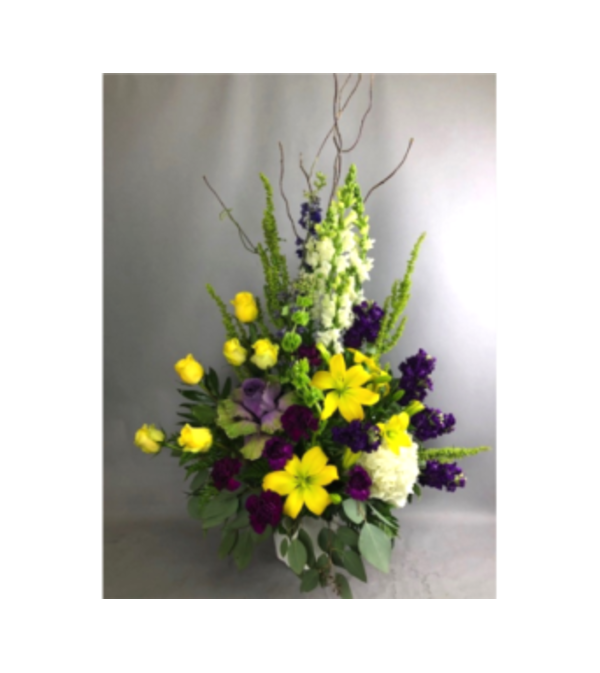 Top off with golden yellow Roses and bright Lilies with a touch of white Hydrangeas and Snapdragons. 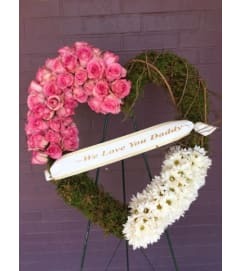 This arrangement could be delivered to a funeral service or home in loving memory of a loved one.